Father’s Day is fast approaching and I thought it was only appropriate that I make sure the Dads were included. Father’s Day means so many things to so many different people especially in the world we live in today where family dynamics are not always Mum, Dad and 3 kids. To me Father’s Day like Mother’s Day is about celebrating those in your life that make it better just by being in it. It’s about celebrating someone who touches your life and that you can rely on through the good and the bad. So, although my questions are Father’s Day related please feel free to enter them all and celebrate someone who enriches your world on Father’s Day. 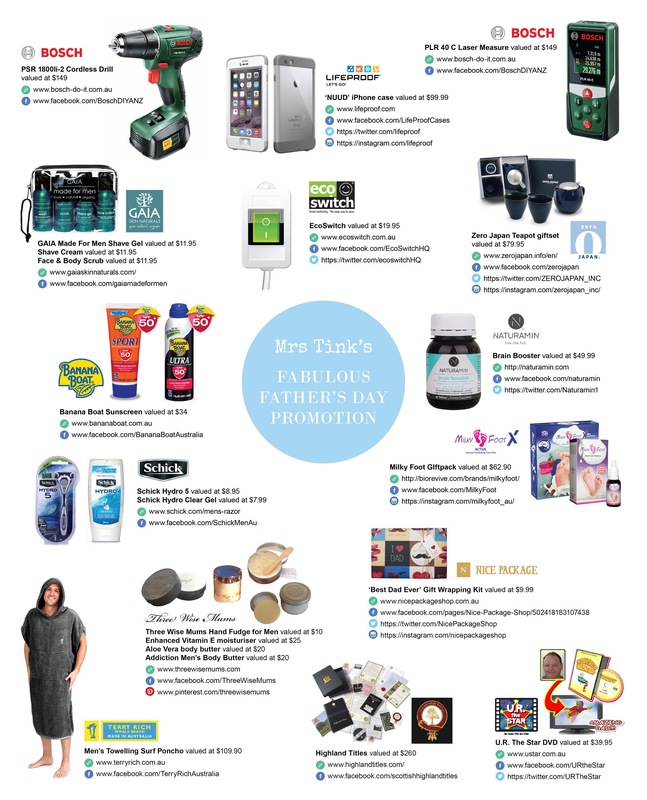 Stuck for a quirky father’s day present? Why not give dad something sure to set tongues wagging with his own tiny slice of Scotland, thereby giving him the title Laird (a Scottish word that translates into English as “Lord”). 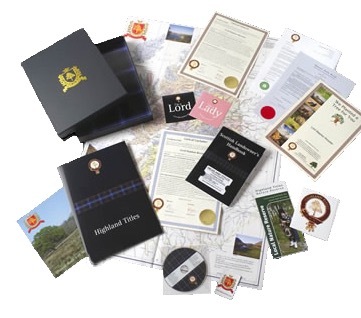 Highland Titles allows customers to purchase a souvenir plot of land on a Scottish Highland estate which allows owners to use the courtesy title of Laird (landowner), lord or lady. The titles are firming tongue in cheek and a novelty gift for the “person who has everything”. That being said, a portion of the proceeds from each sale goes towards important conservation work to help preserve Scotland’s wilderness. Scotland’s official tourist board, Visit Scotland, awarded the Highland Titles Nature Reserve 3 out of 5 stars as a tourist attraction – in 2013 alone 6,000 land owners visited their plots of land to see the conservation work being done. If the man in your life fancies himself as a lord also and you are looking for a unique present for him, you’re in luck! 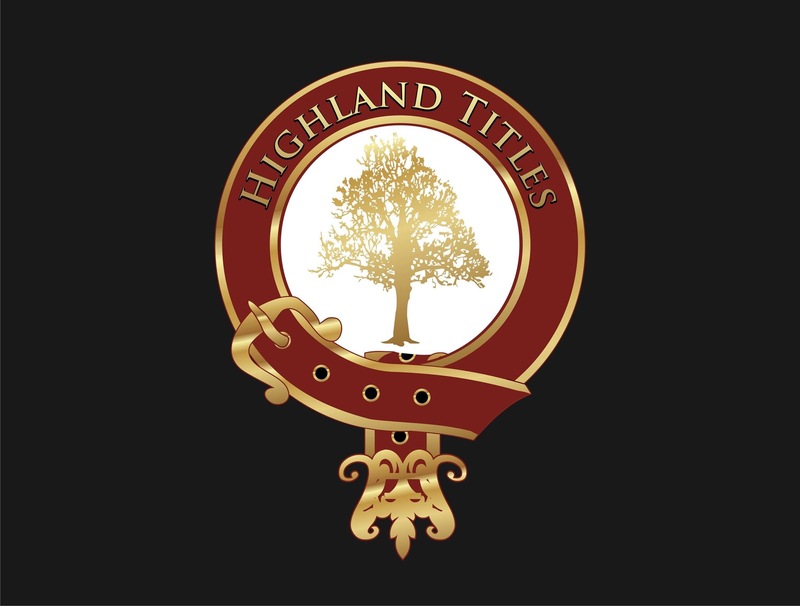 The lovely team at Highland Titles have a fantastic prize pack to giveaway. To enter simply share with us your favourite Dad story. Our judges will choose their favourite answer and announce a winner on the 6th of September at 9pm. When we were kids he’d take us fishing all the time, I loved those days, I would get so excited to catch something, this one time I went to cast in and hooked him in the face, I thought it was stuck so I kept yanking until I realised it was in his face, so scared he would be angry, but he laughed and said its ok, wow! What An Amazing Unique Gift Idea ,My family is half Scottish and The one place we have always talked about visiting is Scotland.. The one story we all still have a giggle about..I was afraid of monster that lived under the bed when I was little..I had a very over active imagination (still do ) My dad tried talking me out of my Monster fear .He would look under the bed and show me nothing there ..
That my Dad would help strangers. When i was a teenager he drove a couple of people where they needed to go, drove a van to help people get to and from Church and expected nothing in return. My Favourite Dad story is more his life story… He was orphaned when he was 6 weeks old & even lived on the streets for a period of his life.. He was told that he wouldn’t & couldn’t do things so he proved people wrong by not only doing them but doing them exceptionally well.. He became a successful business person & never sacrificed his dignity or humanity in any shape or form.. He even has a Football Cup named after him in a town we once lived in 35 years ago.. He is a decent & honest human being & I Love him dearly..
My dad grew up in post war England, lived in a 1 bedroom flat with his parents and siblings, at Christmas time they were given a stocking full of fruit, he said, it was a real treat! Fruit was a Christmas treat! When they arrived in Australia my dad was surprised, fruit available everywhere, they even had an orange tree in the backyard! My favourite Dad stories are all the old tales Dad tells us of when he used to live in Italy as a child. From picking olives after school in their orchard to milking the cows for fresh milk.